The first days -probably even the first weeks- were like a honeymoon. I was busy exploring a new city I would soon call my second home. There were so many things to do day and night; numerous tourist attractions (CN Tower, Blue Jay games, Ripley’s Aquarium, Scarborough Bluffer’s Park and Beach, Toronto Islands, Hockey Hall of Fame, Royal Ontario Museum, Art Gallery of Ontario, Kensington Market, Graffiti Alley, Riverdale Park, High Park etc. ), festivals and concerts, restaurants and cafés, parks and gardens, buildings and architectures, shopping and cultural things just to name some. 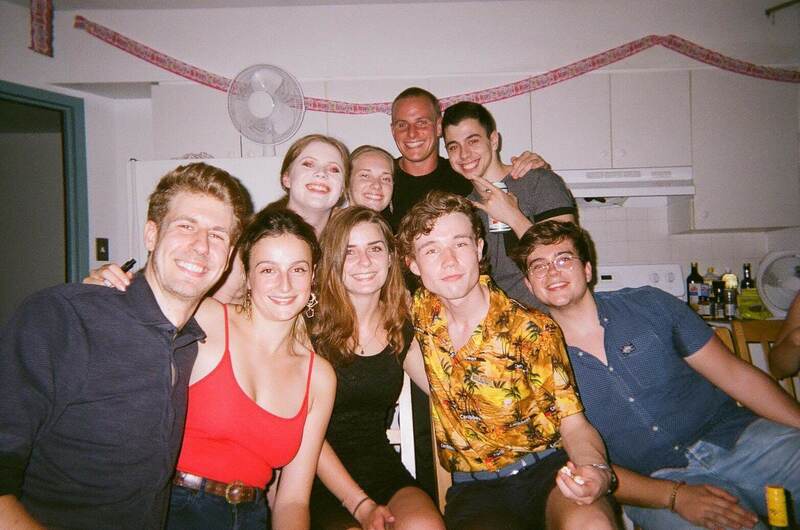 Every day, I got to know new people; even before my roommates and I attended the first official event for exchange and international students, some of us met up in a bar in Kensington Market. I remember my feeling that night – pure joy of talking to people from all over the world, realizing we’re in the same boat and even though we have spent every second of our lives without each other until that night, we all had a connection. We were excited and hyped for the upcoming four months. I had a blast.Things were going great! The following weeks in September and October were like going on a giant vacation. Am I exaggerating? Or looking through pink-painted glasses? Maybe! But believe me, we had the time of our lives (despite all minor downs we in fact experienced as well). As for now, I will come back to that when talking about daily life. During the week, everyone was more or less busy with school. My classes and school in general are very different from what I am used to in Germany. Honestly, I don’t prefer either of the systems – both do have their advantages and disadvantages and everyone probably gets along better with one thing and will figure it out sooner or later. 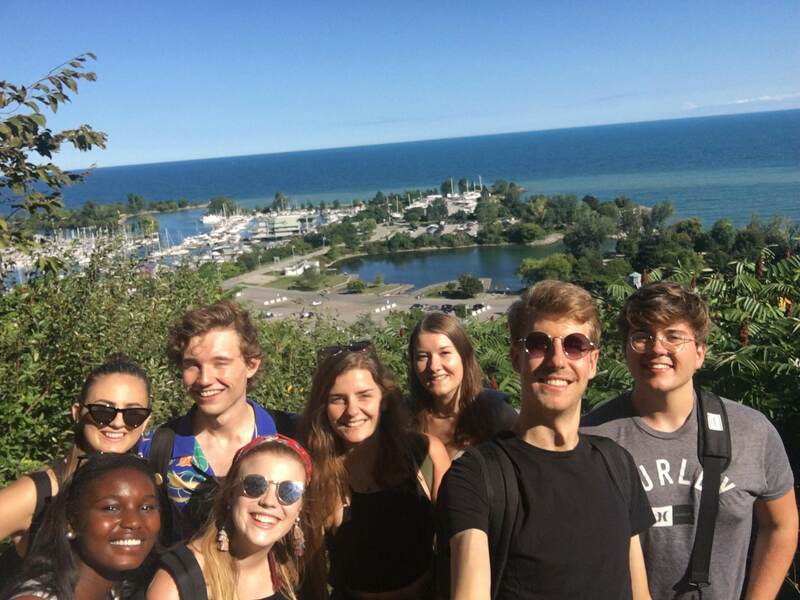 Generally speaking, Canadians value personal experience and opinion on a higher level; I enjoyed talking about how I experienced things in daily life and professional life so far and exchanging with other students about it! Of course, it depends on every class and its content. Some topics and issues are basically made for interpersonal discussions and individual research whereas others require a different approach to engage with the subject. Also, I am used to having lectures in a huge hall with about 100 to 200 students. 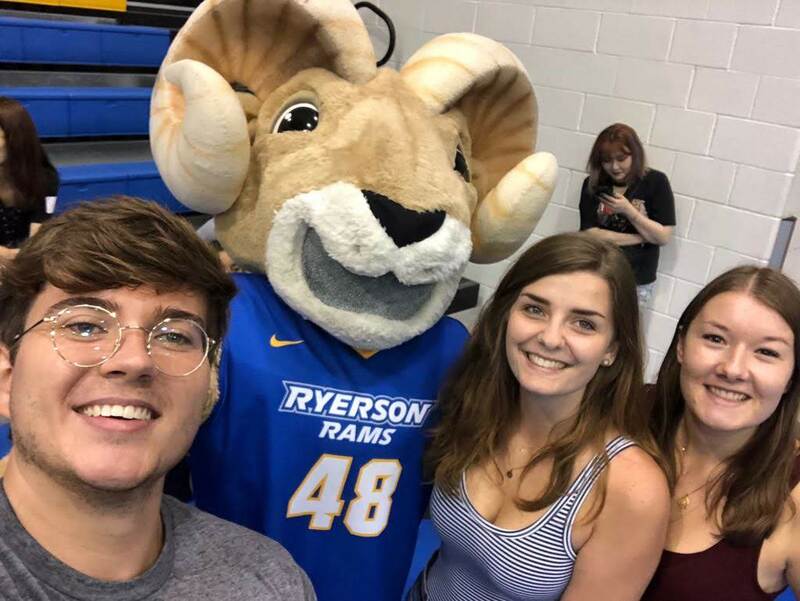 My classes at Ryerson consisted of a maximum of 40 students – maybe I picked the right classes, maybe I had good timing, maybe the classes are always as small as mine were. But I am sure this was part of my amazing experience at Ryerson! Being in a smaller group meant being heard a lot more and being taken into consideration. The teachers put so much effort in making me and the other exchange students in my classes feel comfortable and included and I still hear some of their words in my head. My daily life did not just consist of going to school and on trips with the other exchange students. I have to admit: so far, it sounded like everything was awesome all the time, but of course life abroad is not flawless. There were minor and major challenges that needed to be managed – some of us had trouble finding housing in the first weeks, some had issues with their landlords, some were struggling with their classes, some were having a hard time with their roommates, and so on. Life is a challenge – no matter where you are. The difference was that we all left our families and friends behind. We were kind of in the same situation and spend so much time together. Whenever I felt like spending time with people, I knew someone would be down to grab a coffee together and go for a walk. I built and developed strong bonds with so many people that are so different but so much like me. It’s hard to put it in words. 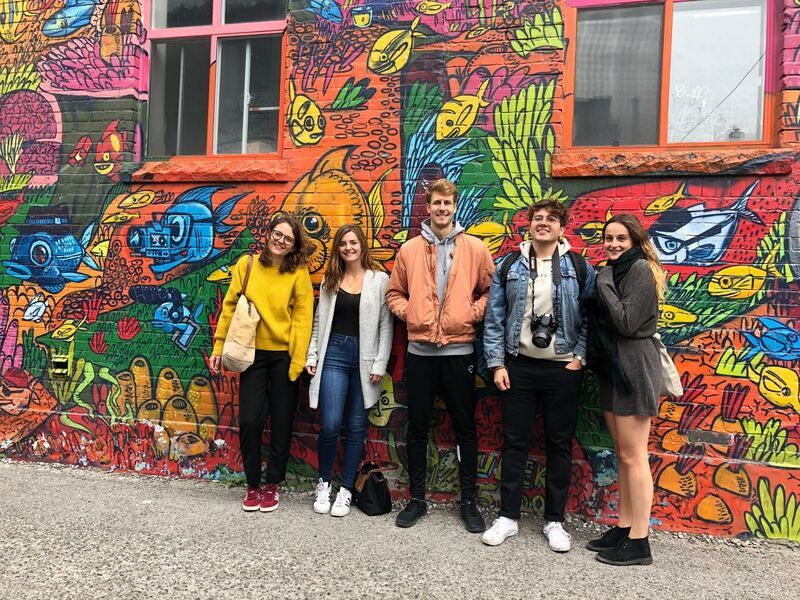 Exchange students are a mixture of cultures, traditions, values, ideas, expectations, personalities, but all that counts is the feeling we had. We were having fun just as much as serious conversations and giving each other advice on how to handle something based on someone else’s experience with it. We were a family. We still are! And everywhere we were made the city sing"
I had to prepare myself to invest more money than usual. There was no way for me to have the privilege of spending a term in Toronto and not enjoy myself and try to do as many things as I would like to! My predictions were right and, in my case, all of the above applied. But instead of hesitating to spend more money or even being afraid to run out of money while you are abroad, keep one thing in mind: preparation is key! Back in Germany, I worked (and will continue working again) during the semester and even added some additional hours of work during the semester break. I saved all the money I got for Christmas or my birthday and put aside some of the money I made from work every month. I calculated my ordinary budget and expenses every month to get an idea of how much I would need to survive. Once this was done, I figured out how much money was left for my “fun time budget” and divided it by the number of months I would spend in Toronto. It worked out perfectly! If you are a person that likes to stay on the safe side (like me), have a backup plan for emergencies. You never know what happens, so make sure there is something you can access “just in case”. There is really nothing more to say than I am so grateful for this lifetime experience, for all the people I met and all the things I have learned. If you have the opportunity to spend a semester abroad, go for it!